National cable news networks failed to carry the Spanish-language portions of emergency press conferences about storms held in Texas and Florida -- two states with some of the largest Hispanic populations in the country -- on at least two occasions in recent weeks. While English-language outlets cut away from the Spanish-language parts of press conferences on Hurricanes Irma and Harvey, national Spanish-language outlets neglected to air the press events at all, leaving Spanish-speaking viewers in the dark regarding vital emergency preparedness information. During a September 7 press conference in which Florida Gov. Rick Scott was addressing the nation in preparation for Hurricane Irma, the two largest national Spanish-language news outlets, Univision and Telemundo, continued their regular programming rather than airing the news. Between 9 a.m. and 10 a.m., when the conference was taking place, neither Univision’s Despierta América nor Telemundo’s Un Nuevo Día carried the press conference live. Contrary to the national networks, local Univision and Telemundo affiliates serving Miami and Fort Lauderdale (Univision 23 and Telemundo 51) both aired the press conference in-full and even provided Spanish translation when necessary. At about 9:54 a.m., a reporter asked a question in Spanish about whether authorities would be checking immigration documents of individuals forced to evacuate or take refuge from the hurricane, to which one of the press conference speakers responded in Spanish, “They do not have to be thinking about that” because “none of the places that they will be going will be checking [immigration] documents.” After briefly airing part of the Spanish response provided by Florida authorities, Fox News, CNN, and MSNBC all cut away, continuing to show the conference in the background but with network anchors speaking over it. Similarly, Univision’s and Telemundo’s national outlets declined to cut away from regular programming on August 28 to air a news conference about Hurricane Harvey, and in this case, none of the local affiliates available in media recording service iQ media appeared to air the press conference live either. Fox News and MSNBC again spoke over a Spanish-language portion of the press conference soon after a reporter asked a question about whether authorities would be able to accommodate non-English speakers needing rescue. CNN stayed on the Spanish-language portion of the press conference for about a minute and a half before also cutting away. 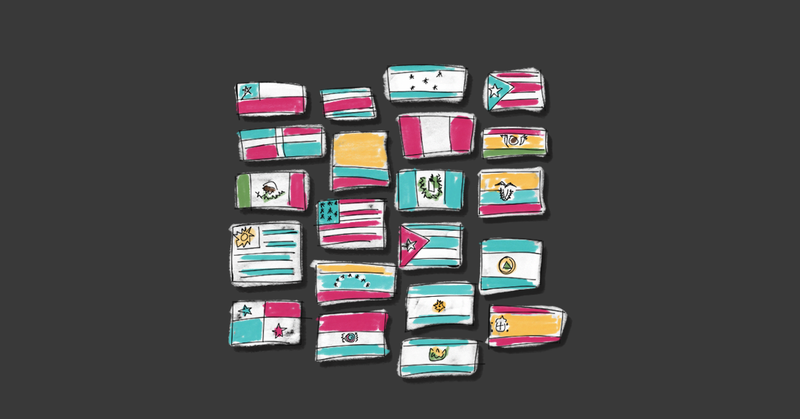 In these instances, while Spanish-language affiliates in Florida compensated for holes in coverage from national news outlets, Spanish-speaking viewers in Texas watching either national cable news or local Spanish-language news missed updates as they happened. A Media Matters study found that cable news outlets mostly marginalized people of color from discussions about climate change and the Paris accord following President Donald Trump's June 1 announcement that the United States would withdraw from the Paris climate agreement. This trend is particularly problematic in discussions of climate change because studies show that climate change disproportionately affects black and Hispanic communities. A review of guests discussing climate change on Fox News, MSNBC, and CNN between June 1 and June 2 found that out of 286 guests* who cable channels invited on to discuss the issue, only about 17 percent were people of color -- 9 percent were black, 3 percent were Hispanic, 4 percent were of Asian descent, and less than 1 percent were of Middle Eastern descent. The lack of representation is striking because studies show that climate change disproportionately affects minorities. In a June 2 article for Essence magazine, activist and political commentator Symone Sanders explained that leaving the Paris agreement will exacerbate some of the problems African-American communities face, including natural disasters like Hurricane Katrina and environmentally related health problems including respiratory diseases and heart conditions. A 2015 report by the NAACP noted that the tendency of African-Americans to live in cities, in coastal areas, and near polluting facilities like coal-fired power plants poses specific health risks and makes them more vulnerable than others to the effects of climate change. A 2016 report by the Natural Resources Defense Council (NRDC) pointed out that Hispanic communities are disproportionately harmed by climate change in part because a majority of Latinos live in states prone to extreme heat, air pollution, and flooding. Additionally, climate-related health concerns are particularly dire for Latinos given that they are “heavily represented in crop and livestock production and construction,” which contributes to them being “three times more likely to die ... from excessive heat than non-Latinos.” They are also less likely to have health insurance coverage than non-Latinos. These factors may help explain why people of color are more likely than white voters to support the Paris agreement and to support regulation designed to combat climate change, and why lawmakers who belong to minority groups have “near-perfect” environmental voting records. 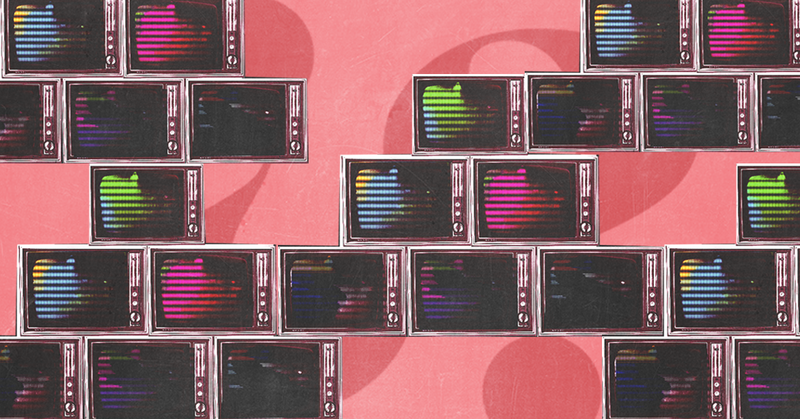 Yet, despite the intersectionality, TV news outlets often fail to make the connection between climate change and racial justice -- perhaps, in part, because they don't include many minority voices in their coverage. When minority voices do find a foothold in the climate change discussion, the intersectionality of the issues becomes more apparent. African-American journalist April Ryan, one of the few non-white guests invited to discuss the Paris decision on CNN, emphasized the real-life human consequences of climate change, including disasters like Katrina, floods, droughts, and mosquito-borne diseases. Additionally, in Spanish-language media’s coverage on Univision and Telemundo, reports on the United States’ withdrawal from the Paris accord explained the impact of climate change on Hispanics and provided a platform for Latinos to voice their opposition to the move. Irissa Cisternino contributed research to this piece. Media Matters searched SnapStream and Nexis using the search terms "climate or Paris" on CNN, MSNBC, and Fox News from June 1 through June 2 and reviewed the transcripts for segments about Donald Trump's decision to pull out of the Paris climate agreement that aired between between 5 a.m. EST and 11 p.m. EST. Segments where Trump's decision to pull out of the Paris accord was the stated topic of discussion or segments where there was significant discussion of Trump's decision to pull out of the Paris accord were counted. "Significant discussion" was defined as at least two speakers in the segment engaging on the topic with one another (e.g., the host asking a guest a question on Trump's decision). Segments where a guest mentioned the decision in passing -- where no other guest engaged with the comment -- were excluded. All guests were coded for race/ethnicity. In one case, the race/ethnicity of the guest was unclear, so that person was not counted. *For one guest who is both black and Hispanic, both backgrounds were counted. As a result, there are 288 race/ethnicities listed for the 286 guests. Because the study was focused on representation of minorities, guests who are both white and belonging to a minority group were coded only for the latter. After President-elect Donald Trump pledged during his presidential run to rescind an executive action on immigration that protects from deportation thousands of undocumented immigrants brought to the U.S. as minors, cable news outlets routinely discussed the program as a political tool without explaining how it benefits Americans and the American economy. The 2012 executive action known as Deferred Action for Childhood Arrivals, or DACA, allows almost 800,000 people to study, work, and live their lives in the United States without fear of deportation. As a result of not being forced to live in the shadows, DACA recipients have generated more government revenue in the form of sales and property taxes, and created new jobs through increased consumer spending and boosted wages. The program has benefited the entire economy, but cable news coverage of DACA depicts the program as if it impacts only those who it protects from deportation. Media Matters reviewed how evening news programs on Fox News, CNN, and MSNBC covered DACA from August 31 -- when Trump announced he would put an end to the program -- to December 15. Of the 20 qualifying segments on DACA during that time period, its economic impact was mentioned only once. Even then, the discussion failed to provide many facts on the scope of the program’s benefits. Meanwhile, new reports investigating the effect of rescinding DACA conclude that doing so would do more harm than good for all Americans, not just the thousands of undocumented immigrants protected by the program. On December 13, Univision reported on a study from the Immigrant Legal Resource Center, which found that ending DACA would reduce contributions to Social Security and Medicare by $19.9 billion and $4.6 billion, respectively, over 10 years. On December 15, Telemundo reported that if approximately 3.4 million undocumented immigrant homeowners, many of whom are protected under DACA, lost protections from deportation, the resulting mass deportation “could hit the housing market, causing losses of up to $9.3 billion.” Additionally, a November 18 report by the Center for American Progress estimated that “ending DACA would wipe away at least $433.4 billion from the U.S. gross domestic product” over the next 10 years. Cable news networks’ failure to connect the dots on how anti-immigration policies would negatively affect the economy is a disservice to voters whose decisions at the polls were guided by a desire for a strong economy. Media Matters conducted a Nexis search of transcripts from Fox News, CNN, and MSNBC using the search terms "allcap(DACA) or dreamer or Deferred Action for Childhood Arrivals" for programs airing between 5 p.m. and 11 p.m. from August 31 through December 15. We reviewed the transcripts for segments discussing the economic impact of DACA. This included reports from correspondents and guest panels and excluded brief mentions of DACA that did not generate meaningful discussion between hosts or guests. Latinos whose lives will be affected by what President-elect Donald Trump’s administration decides to do on the issue of immigration are getting two different messages depending on the language they speak and the news they watch. Conservatives addressing the issue are giving conflicting messages to different audiences, adding to the crippling uncertainty many immigrants are already experiencing. 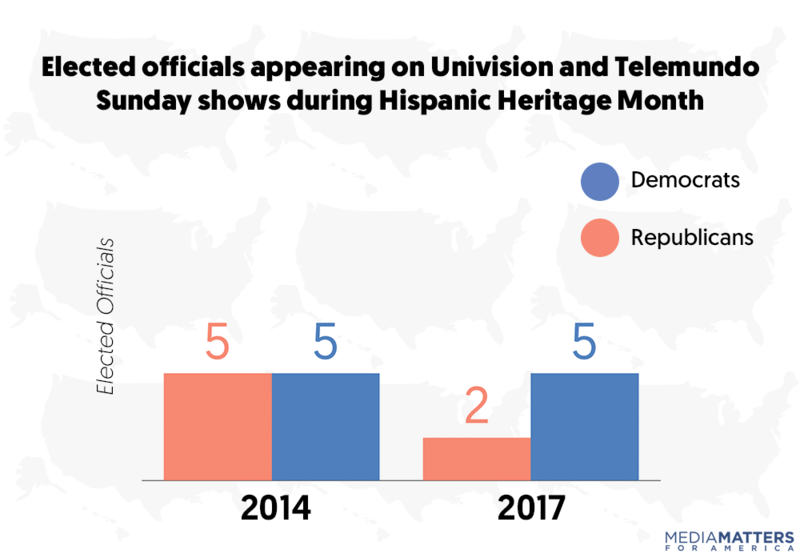 In the span of 12 hours, Telemundo’s Spanish-speaking viewers received a different narrative regarding Trump’s immigration plans than Fox News’ audience did. On November 15, Trump’s transition team member Kansas Secretary of State Kris Kobach, who is one of the major architects of Donald Trump’s extreme immigration proposals and has been described as an anti-immigrant zealot, appeared on Fox News’ Fox & Friends and declared regarding the future of undocumented immigrants that, “No person living here illegally gets a free pass.” This means any undocumented immigrant is vulnerable to deportation and contradicts reporting that Trump’s tone on immigration might be getting softer. It is likely that Fox’s audience received the more accurate depiction of Trump’s immigration plan given Kobach’s prominent role in crafting Trump’s hardline immigration proposals and Aguirre Ferré’s record of attempting to sanitize the Trump campaign to Hispanic audiences. This media manipulation allows Trump to curry favor among the right-wing audience on Fox News while spreading a different message to the immigrant population who relies on Spanish-language media and whose uncertain future depends on Trump’s immigration policy. Blog ››› November 2, 2016 12:13 PM EDT ››› CRISTINA LóPEZ G.
News shows on the biggest Spanish-language networks, Univision and Telemundo, failed to mention that November 1 marked Latina Equal Pay Day -- which is the day that Latinas reach an average annual income that matches the average annual income white men earned in 2015 -- meaning it took Latinas nearly two years to earn as much as white men earned on average in 2015. Media Matters analyzed coverage of the November 1 editions of Telemundo’s Noticiero Telemundo and Univision’s Noticiero Univisión and Edición Nocturna and found no mentions of Latina Equal Pay Day. In contrast, National Hispanic Leadership Agenda (NHLA) and more than a hundred women’s rights groups and Latino empowerment organizations observed the day by raising awareness and highlighting research that shows the impact of this wage gap. One study, from the Institute for Women’s Policy Research, found that “if trends over the last 30 years continue, Hispanic women will not see equal pay with White men until 2248, 232 years from now.” The study also found that for Latinas, median annual earnings have in fact declined in most states. 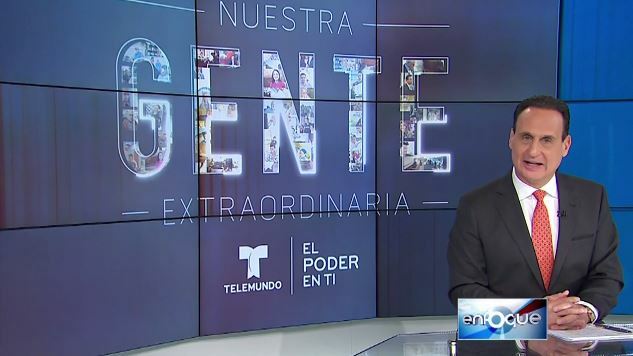 To many Spanish-speaking Latinos, the top-rated networks Univision and Telemundo are the tools that help them “navigate America.” Research from Pew has found that close to 1.85 million viewers tune in to watch Univision’s daily news cast Noticiero Univisión, while Noticiero Telemundo’s viewership continues to increase. By failing to shine a light on how wage inequality affects Latinas, Spanish-language networks missed an opportunity to empower the community they serve. Responding to Republican presidential nominee Donald Trump’s comments urging his supporters to be on the lookout for widespread voter fraud on Election Day, Hispanic media have repeatedly debunked the myth that such voter fraud exists and shared resources that their audiences could use if they are harassed -- or see others harassed -- at the polls. JUAN CARLOS AGUIAR (CORRESPONDENT): It’s not just a few experts who confirm that this position assumed by Trump is very dangerous. JOSÉ PARRA (POLITICAL ANALYST): Racial tensions become exacerbated because ‘electoral fraud’ becomes the equivalent of people of color are voting for many people, and they think that by not being a white American then therefore you are not an American citizen. AGUIAR: In order to avoid possible episodes of racial discrimination, in New York, they created a mobile app to denounce them. JOANNA CUEVAS (SPOKESPERSON FOR LATINO JUSTICE): Race, color, national origin, ability to speak English. These are all forms of discrimination that we are monitoring. Faced with concerns over violence and the potential for intimidation of minority voters at the polls, Hispanic media have reported on various organizations’ mobilization efforts to protect voting rights on Election Day. La Opinión highlighted the National Association of Latino Elected and Appointed Officials (NALEO)’s request that the Department of Justice send federal election observers “in particular to areas with high percentages of immigrant and Puerto Rican voters,” as well as the organization’s guide for voters, which describes “what to do in case of harassment at the polls.” Univision published an explainer on voter intimidation and what to do when faced with such intimidation, directing readers to resources that could help them. Also, Univision’s late-night news program reported that the Organization of American States (OAS) will be assisting with monitoring polls, while Fusion highlighted the Democratic National Committee’s lawsuit against the Republican National Committee, which alleges that the RNC is assisting Trump in his efforts to suppress voter turnout. Blog ››› October 26, 2016 1:36 PM EDT ››› CRISTINA LóPEZ G.
Republican presidential nominee Donald Trump has broken the precedent set by presidential candidates before him by avoiding speaking to major Spanish-language media networks and outlets since June 2015, posing an unexpected challenge for the Spanish-language reporters covering his campaign, and forcing them to rely on campaign press releases, televised news conferences, the candidate’s Twitter account and the work of other journalists. Media Matters interviewed La Opinión’s Washington correspondent Maria Peña to find out what it’s like to cover Trump for an audience of Spanish-speakers in such conditions. Trump has set himself apart from other candidates -- Democratic and Republican -- by repeatedly ignoring Spanish-language media figures’ requests for access. Peña said she had “no problems whatsoever with [covering] Mitt Romney’s campaign,” and was able to interview Romney’s wife and son during the 2012 Republican convention in Tampa, FL, and “almost always got written responses or helpful info[rmation]” from the other campaigns during the 2016 Republican presidential primaries. Spanish-speaking audiences have yet to hear Trump’s unfiltered views on the things that matter to them the most, since even when his campaign caved to Hispanic media’s pressure and conceded a short interview to a local Miami, FL, Telemundo station, Trump was neither challenged on issues that Hispanics prioritize nor questioned on his dismal Latino outreach strategy. Trump’s shirking of Spanish-language media is just one prong of his media strategy wherein he seeks exclusively fawning press coverage by denying interviews if he cannot have the questions in advance, or changing his mind seconds before interviews with local Hispanic journalists his campaign has already agreed to. Trump also has an extensive record of attacks against media figures and outlets he perceives as critical, and has a tendency to retreat to the protection of the sycophantic right-wing media bubble, often to whine about the “very evil” press.